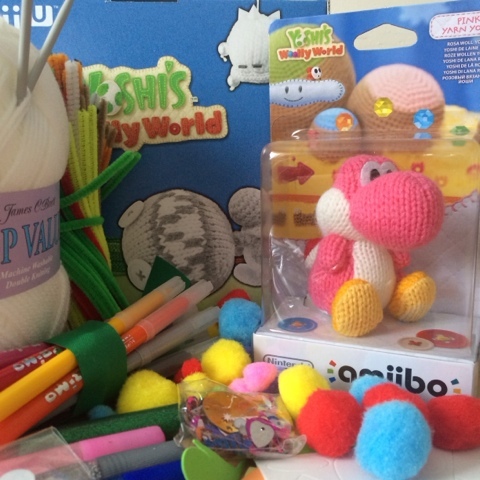 We adore Yoshi, So we were delighted to celebrate the release of the cool new Yoshi Woolly World by creating our very own 3D Woolly World. 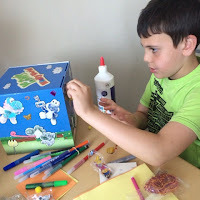 Using a range of pom poms, glitter glue and colouring pens, we got creative and made our very Woolly World creation. 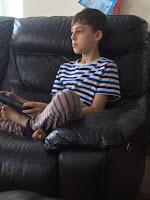 After all the creativeness and fun we were ready to play the awesome Yoshi's Woolly World exclusively on Wii U. 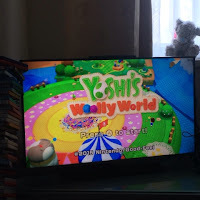 One day in Woolly World trouble is brewing when the naughty Knitwit Kamek shows up and uses his magical powers to turn the Yoshi's into yarn, Lucky some of the Yoshi manage to hide, this sees the remaining Yoshi's set out to rescue their friends. 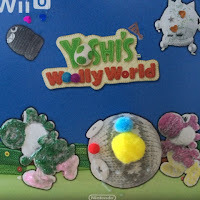 Join Yoshi as he explores the cool world of wool, as he uses yarn balls to battle his enemies and knit new platforms, Throughout Woolly World collected the various collectibles in the quest to play bonus games, buy power badges and weave new Yoshi patterns, There are several secrets in this cool world of wool, from walking though the soft knitted walls and un-knotting the scenery. We loved playing Yoshi's Woolly World, The game is bright and bold full of colourful woolly graphics, it was great looking out for the secret hidden areas in the game as we flutter jumped our way through the material world, Best of all Woolly World can be played as a two player game, which means you can join forces with your friends or family and work together and find the collectibles and support each other when battling your enemies. Yoshi's Wooly World is Amiibo compatible, So why not use a cool Yoshi Amiibo knitted figures to unlock cool new Yoshi patterns and discover the wonderful woolly world in style, you can use your Yoshi amiibo on the Wii U GamePad whilst playing Yoshi’s Woolly World will make another Yoshi appear which allows players to control Double Yoshi. Explore the material world of Yoshi's Woolly World, an fun action packed game that will leave you with a warm fuzzy feeling. 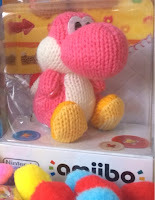 Check out Nintendo/Yoshi's Woolly World. 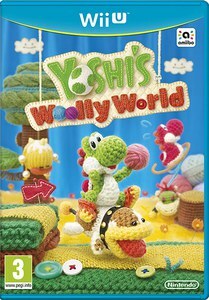 Yoshi's Woolly World is available for £39.99 Pegi 3.